Welcome to The Dark Pixie Astrology! So you may have heard of a little K-pop boy band called BTS (if you randomly hear the sounds of screaming 14-year-olds, it's probably from them). I'm an old person, so I didn't come to know of them until last year. I totally get the crazy fandom - I was exactly like them when I was 13 with a little boy band called NSYNC and a curly-haired blond named Justin Timberlake. Most of my friends were Backstreet Boys fans and loved Nick Carter - I think we know who the smart one was! May's new moon occurs on the 4th (6:46PM ET) in earthy Taurus. Taurus new moons are good times to focus on stability and security, and to calm everything down. We can take our time, and we can focus on taking action only when we feel ready and want to. Can't be pushed into anything! We can work to feel more confident, on more solid ground internally and externally, and it can be good energy for grounding exercises. Astrology seems to be so in right now! Astrology's popularity comes and goes, ebbs and flows. The hippies were so into it in the 60's and 70's, and then it pulled back for a while. But it's come back in a big way now, and people aren't so ashamed of their astrology interest. This seems to especially be the case with Millennials (and seems like it's continuing with Gen Z). If we're going to consider why astrology is so popular now, maybe we should use some astrology to figure it out! (ha!) So, why IS astrology the new black? There are many options for working as an astrologer these days. You used to only be able to do it in person (and it was only a select few who got to). Then came the phone, and then came the internet. The internet blew everything up! (ha!) Now anyone with an internet connection can become an online astrologer. But of course, it's not quite as simple as that. You do still have a lot of work to do if this is what you decide to do. So, what do you need to do to start a online astrology business? The learning pages offer a complete layout of the planets & houses, plus lessons to get you started with predictive astrology and links to more astrology articles. The free astrology courses page has mini bite-sized e-courses on various aspects of life, like finding Mr./Ms. Right, the best ways to make money, and more. ​Want to learn how to conquer the most difficult astrological transits? 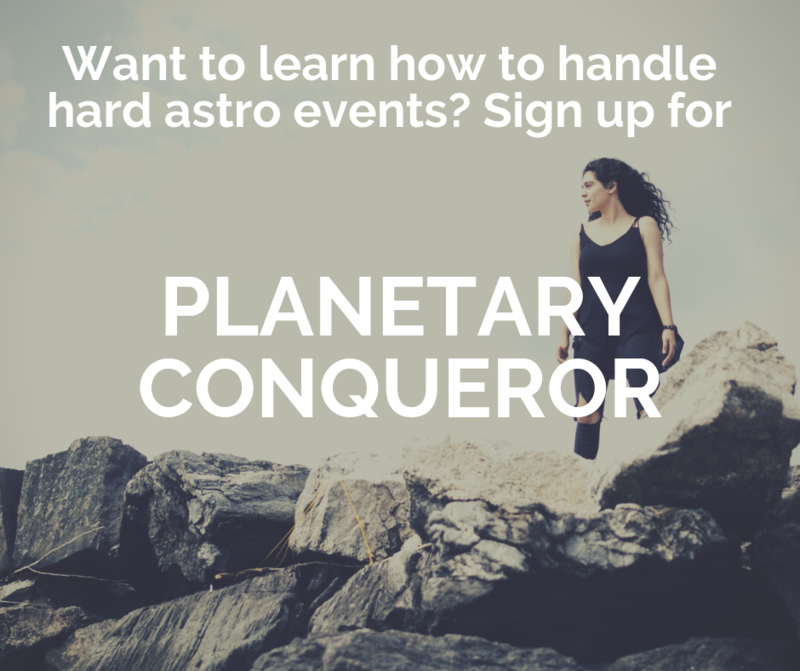 Sign up now for the 4-part email series, Planetary Conqueror!